A toddler memory book will help you preserve the precious moments you and your child experience during his or her toddler years. You can purchase a guided book or create your own place to record milestones and memories. Many baby books now cover children's lives from pregnancy through age five or six. These toddler years memory book options include sections for several years, namely from ages two to six. Parents love The Little Years Toddler book because it comes with over 100 pages of bright and fun illustrated pages. Each book starts at your child's first birthday and includes one theme across 20 pages for each year until their sixth birthday. Some pages are prompted such as photo pages or the "favorite things" page while others are intentionally blank. The boy version features a green heart with vehicles and natural elements on the cover. The girl version has a pink heart with flowers and fantasy creatures such as a unicorn. You can buy this 12-inch by 12-inch made in the USA book for about $55. If you want modern design and a gender-neutral look, the As You Grow toddler book by illustrator Korie Herold is ideal. Beautiful black and white nature images flow across every page. Lined journal pages, pocket dividers, photo pages, and prompted pages cover pregnancy through age five. With 160 pages to fill, this memory book is a steal at $35. At just under $16, this interactive journal for parents and their child is gender neutral and unique. With over 125 pages, The Next 1,000 Days by illustrator Nikki McClure features muted colors and plenty of space to record milestone or have your toddler write and draw their own memories. Each page has a suggested activity to complete or keepsake to include, but you don't have to abide by them. If you're looking for homemade toddler memory book ideas, there are tons of easy projects anyone can complete quickly. Consider covering the outside of the book with a special blanket cut to fit the book's size. In doing so, you also create a keepsake out of another special object that holds precious memories for you and your child. Using a few standard craft supplies such as cardboard, spray adhesive, and decorative paper you can make a hardcover for your toddler milestone scrapbook. Then you can add in blank pages using free printable scrapbooking stuff like patterned papers, borders, layouts, and embellishments. Include at least one page for each of the toddler years, but the more pages you include the more room you have to document milestones. Turn basic sketch pad paper into an original, homemade journal where you can record memories, milestones, favorites, and travel during each year of your toddler's life. You can even invite your child to draw and write in the journal. Add a piece of free printable scrapbook paper as the decorative cover. You'll need a standard spiral notebook or sketchbook to get started on this simple project. Use whatever craft papers and embellishments you have on hand to decorate the cover of the notebook. Add tabs to the top of a few evenly spaced pages throughout the book by gluing small squares of paper so they stick out when the notebook is closed. These will serve as the sections for each consecutive year for your toddler. Purchase a three-ring binder and a package or two of three-ring document sleeves. Print or decorate a standard piece of paper and insert into the front cover sleeve of the binder to serve as your cover. Create one page at a time and insert each into a document sleeve to fill the book. Document sleeves also double as pockets to hold thin keepsake items. What should the toddler memory book you choose look like? This may very well depend upon whether you purchase a book or make your own. Keep in mind that if you decide to purchase a memory book, you may not have a lot of choices in what features the book offers. If you have definite ideas about what you want in your toddler's book of memories, then your best bet may be to create your own. What kind of toddler's book do you need? Once you decide how your book should look, you can then focus on whether you need to create or purchase it based on your needs. Do you want to include only information, memorabilia, and fun facts about your child as a toddler and omit anything related to her days as a baby? Do you want this book to include information from all the months since she was born? Do you want the book to feature mainly photos of your child? Do you prefer a simple book in the form of a journal, or do you want to create a scrapbook that combines written information and visual images as well? Will you need a book that features pockets for a variety of keepsakes? Will you want a book that offers you the option to add pages if needed? What should go in your toddler's memory book? 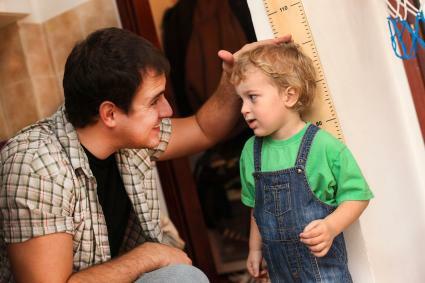 Toddler memory books typically include sections for years two through five or six. Anything you want to remember or think your child will enjoy revisiting as an adult can be included. What you choose to place in your toddler's memory book is a uniquely personal decision. Many parents choose to include some or all of the following in their children's memory books. Milestones - Whether your child's memory book is in the form of a journal or has pre-printed categories and charts for you to fill in, you'll want to keep track of all the milestones she's reached throughout her toddler years. Document when she spoke her first sentence when she learned to hop, funny words she said, funny things she did, and more. Photos - If the memory book doesn't have pockets or sleeves to hold those precious photos, you can add a couple to the inside covers of the books by taping cardstock on three sides and leaving an opening at the top to insert your cards, photos, etc. Artwork - While you won't have room to hold all of your child's artwork, you can place a few special pieces in the memory book. If you just can't choose which items to keep, consider taking pictures of larger collections of artwork and placing those photos in the memory book instead. Favorites - List your child's favorite foods, toys, songs, people, and places. Include pictures, recipes, and brochures when possible to better capture the memories. Personal notes and letters - You don't need to keep every birthday card your child every receives, but adding in those with special handwritten notes is a great idea. Include personal notes from Mom and Dad each year along with letters written by other family members. One of the most common gifts given to new parents is a baby memory book. 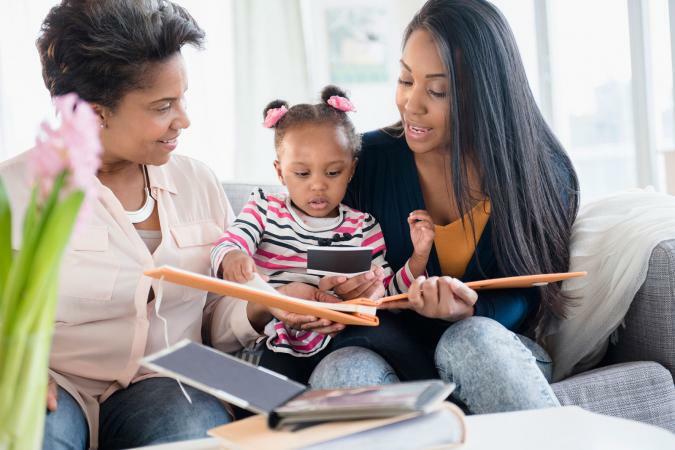 These books offer plenty of pages for parents to document all of those milestones their babies achieve. A toddler memory book basically serves the same purpose. However, because this book focuses specifically on the toddler years, it provides an opportunity for parents to get more detailed on those memories they want to preserve.